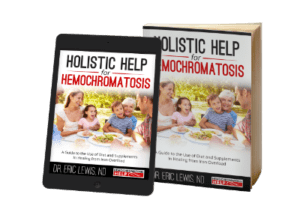 At first glance, hemochromatosis treatment is simple and straightforward... yet it is also seemingly limited. Therapeutic phlebotomy, or blood donation, reduces iron overload in the blood stream and (hopefully) in the tissues. Iron chelating medicines may also be prescribed by a physician if phlebotomy is not tolerated for any reason. Conventionally, that's about it. Frustrating, huh? I absolutely agree that therapeutic phlebotomy is the cornerstone, front line, most important therapy in the treatment of hemochromatosis. By reducing excess iron, phlebotomy can reduce symptoms, halt or hopefully reverse the progress of the disease, and save lives. However, in the real world, we're talking about our welfare and our lives... we need to do more for hemochromatosis treatment! I am fortunate to hear the stories of people's health. I am fortunate to be able to read the research, understand health, and find solutions. I am really fortunate that I found my hemochromatosis at an early age. But it is an unfortunate situation that so many people afflicted with this disease are simply being told to donate blood without any other support. Individuals still have health problems. They still have questions. They need more support. Phlebotomy for iron overload is just like blood donation, however it is often done more frequently. Depending on the values of your lab tests, your hemochromatosis genotype, and the progression of your condition or symptoms, you may be donating blood weekly until your numbers improve. For individuals with the greatest amount of iron, this is their reality for quite some time. And it's hard. Really hard. The goal of therapeutic phlebotomy is actually to induce a mild anemia in the attempt to clear stored iron from the tissues and organs. Ferritin level and transferrin saturation blood tests are often monitored to dictate how long these more frequent phlebotomies occur. Once an individual hits their target goal, they switch to maintenance levels of phlebotomy. For many who reach this point, there is much to celebrate! 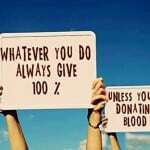 However, I've heard from many people who have not been able to tolerate phlebotomy. Small stature, veins that are "weak" or "slip", dizziness or fainting... these are all common reasons that keep individuals with hemochromatosis from being able to receive phlebotomy. What then? It is always important to follow your doctor's advice. These medications may save your life, especially if you are unable to tolerate therapeutic phlebotomy. Again, the primary hemochromatosis treatment includes therapeutic phlebotomy and/or medicine. A complement to, and not a replacement or alternative of, your medical care. A resource to find answers and restore health. If you have hemochromatosis, be sure to check with your doctor prior to starting any supplement, diet, or exercise routine. 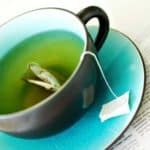 With that being said, there are many solutions, big and small, that may help you to feel better and improve your health. 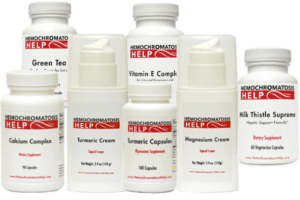 No matter the situation, I do believe we can always do something to help treat hemochromatosis. Ideally our treatment integrates the best of the conventional and natural worlds of medicine.